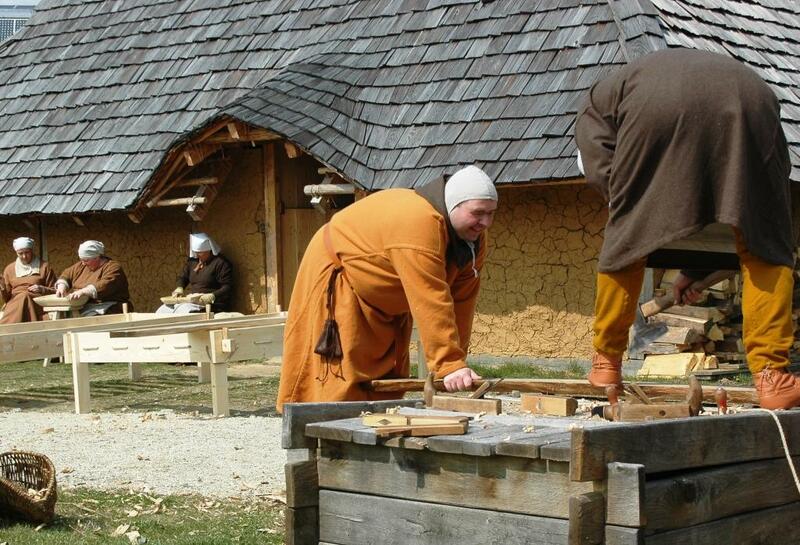 In Bärnau (Bavaria), this park depicts everyday life in this part of Germany from the 8th to 12th century. The association Via Carolina e.V. is responsible for the park, helped by an advisory committee of scientific consultants advising both on the houses and the way life is depicted here. Opened already in 2011, the first phase of construction work will be ready in 2013, counting all in all about 20 (re)constructed buildings. 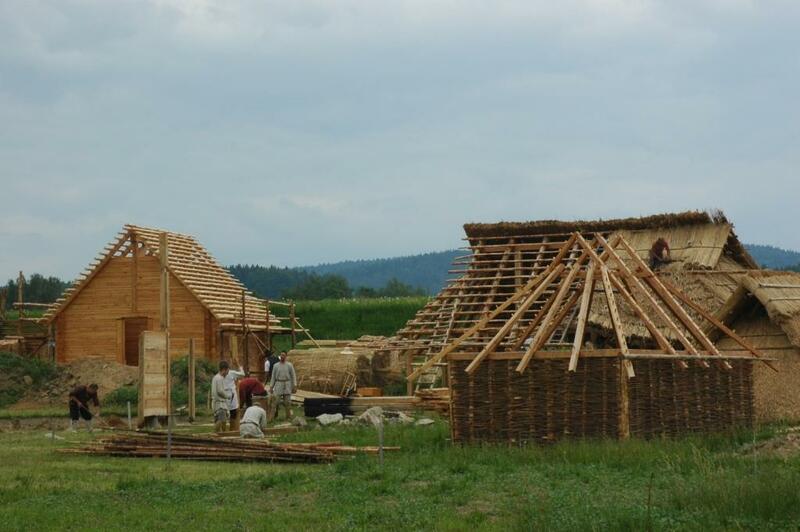 The Slavic Village shows the early medieval period but also refers to the times when under Charlemagne the Ottonians conquer the country, get things organised and build motte-and-bailey castles, as one example will show in the Geschichtspark. This is constructed on an artificial mound surrounded by water and easy to defend. The new rulers also brought a new religion of which a small wooden church bears witness. The next stop for the visitors is a 13th century inspired village: no Slavic or Early German but sawn wooden beams and planks, a blacksmith, ‘modern’ agriculture and what is known in German as “Fachwerk”. The village was lucky to be on the Golden Street, the road between Nuremberg and Prague. Stefan Wolters, director of the Geschichtspark, lives in St. Rochus near Bamberg and has been active in archaeology for over 20 years. He has acquired a wealth of experience conducting excavations all over Bavaria. Following initial courses in History in Braunschweig, he studied Archaeology, Prehistory and Early History as well as research into (historic) buildings at the University of Bamberg. His focus lies on Medieval Archaeology (600 - 1500 AD), with a particular emphasis on churches, castles and rural as well as urban settlements. For this enthusiastic scientist, history and archaeology are not only a profession, but a passion as well - as his long-time involvement in re-enactment and living history testifies. Something of a hands-on person, he has repeatedly created reconstructions for exhibitions, as well as installations for museums.